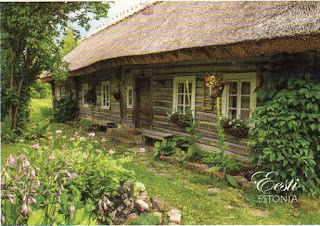 This beautiful card from Craig shows a typical home in Estonia. I absolutely adore this card! I hope you had a fabulous time there!